What gives honey its aroma? Volatile organic compounds also known as aroma compounds are the ones responsible for honey aroma. A lot of research has been done these days showing a growing scientific interest in analyzing and understanding honey more and more so that it can be used correctly, more targeted and more efficiently. 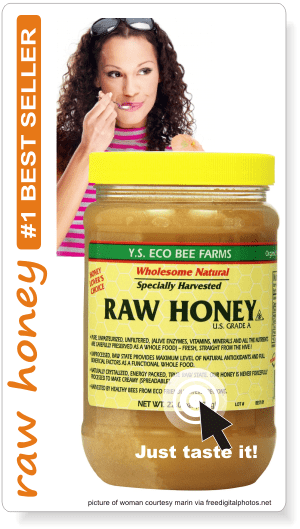 Honey has been analyzed ever since science entered our lives, from its very beginnings. Its composition is still not complete, there are still compounds unidentified, but in time there will be no more secrets. 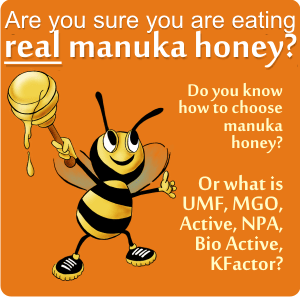 Honey is a complex natural product and though sugars are its main constituents, all the rest combined give honey a unique identity. Among them: amino acids and proteins, enzymes, hydroxymethylfurfuraldehyde (HMF), minerals und trace elements, vitamins, poliphenols, MGO, pollen grains and propolis-derived phenolic compounds, floral aroma compounds and others. And of course there are also some bad compounds found in it, such as contaminants, yeast and toxic compounds. What are Volatile Organic Compounds or Aroma Compounds? – become easily vapors or gases and give the scent, odor, fragrance or perfume of that specific thing. The smell of a flower is given by its volatile compounds. Flowers use them into 2 ways: to attract and to repel. 1. Flowers attract pollinators using all their features: scent, color and shape. The floral scent represent one of the most important communication channels between plant and pollinators. On the other hand, honey bees (pollinators in general) learn to associate the scent with the quantity and quality of the nectar and pollen found on the flower and develop different behavioral responses to known scents versus unknown ones. 2. Some volatile compounds are herbivore repellents. This is again a mutual agreement, flowers make sure they are not eaten and herbivores themselves use this scent to locate a plant resource, similarly to pollinators (negative selection). The volatile compounds found in flowers’ nectar are transferred to honey and we call them honey volatiles. Recent studies have found that the volatile compounds differ from honey to honey, some are present in different ratios in all, but some may be specific to certain honey types depending on their floral source. Therefore, analysis of volatiles substances can be used for the identification of the botanical origin of honey. 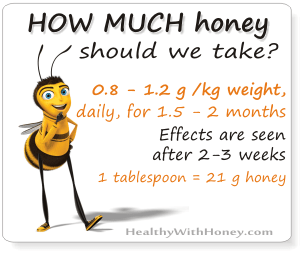 5. flavor contaminants in honey. Heating has a major influence on honey aroma. 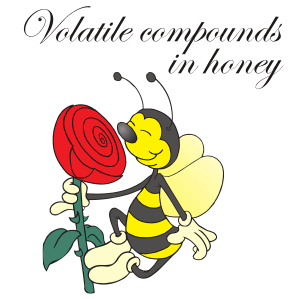 At 50°C new volatile flavor compounds are formed in honey, and the peak areas of many compounds vary significantly as a result of different heating conditions (Visser et al. 1988). – Brazilian caju honey: furfuryl mercaptan, benzyl alcohol, d-octalactone, c-decalactone, euge-nol, benzoic acid, isovaleric acid, phenylethyl alcohol, and 2-methoxyphenol. The study showed that there are remarkable differences in VOCs profiles when comparing honey samples of different floral origins. Consistent with other authors, most of the compounds were identified in all of the analyzed honeys, but the proportion in which they occurred appeared very different taking into account the different floral/botanical origin. Similarly, in each of the analyzed samples there were compounds which were not present in other types of honeys to be evaluated as potential “floral markers”. • This study from 2006, by Tadeusz Wolski et al. fromPoland, presents a list of all identified volatile compounds found in acacia honey, heather honey, buckwheat honey, multifloral honey and lime honey. The study concluded that the obtained volatile profiles of the examined honeys differed and that analysis of the volatiles could be effective for the characterization of the honeys botanical source. • Another study by María Pía Gianelli Barra et al. and published in 2010 analyzed the volatile compounds of ten samples of honey from the central valley of Ñuble Province, Chile. The research team identified 34 different volatile compounds from the headspace of honey produced in the central valley of Ñuble Province: 10 alcohols, 9 acids, 6 ketones, 3 aldehydes, 2 furans, 2 terpenes and 2 lactonesFpur of the volatile compounds had never been reported before as honey compounds. They are: 1,3-propanodiol, 2-methyl butanoic acid, 3,4-dimethyl-3-hexen-2-one, and 6-methyl-5-octen-2-one. These four compounds were found in three of the 10 analyzed samples. The compounds found in the highest percentage of area were ethanol, acetic acid, 1-hydroxy-2-propane, 3-hydroxy-2-butane, and furfural. 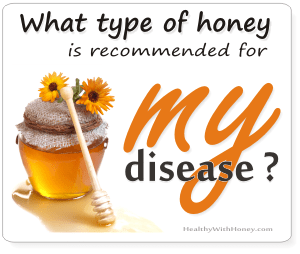 • Another study conducted by Vilma Kaškonienė et al in 2008 observed remarkable variations in the composition of volatiles in honey from different sources collected in Lithuania. Even more, volatile profiles of honey samples were analysed after 3 months of storage and it was found that the amount of headspace volatiles in the majority of samples decreased. – only 2 VOCs: benzaldehyde and benzenacetaldehyde were found in all 15 samples;. – and 2-methylbutanenitrile in 10 honey volatile fractions. • The study “Volatile organic compounds of Thai honeys produced from several floral sources by different honey bee species”, by Praetinee Pattamayutanon et al. from Thailand and Italy, published in 2017 by plos.org, analyzed the volatile organic compounds (VOCs) of four monofloral and one multifloral of Thai honeys produced by Apis cerana, Apis dorsata and Apis mellifera. The floral sources analyzed: longan, sunflower, coffee, wild flowers (wild) and lychee. Methods used to determine the colatile compounds: headspace solid-phase microextraction (HS-SPME) followed by gas chromatography and mass spectrometry (GC-MS). There were 63 volatile organic compounds identified. Here is the list with all of them. What is spruce honey? Longan Honey benefits? 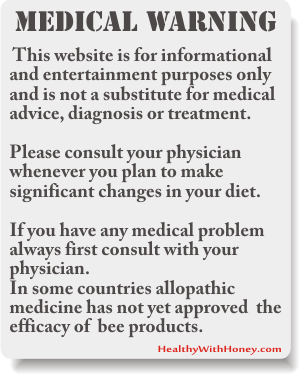 It’s a powerful antimicrobial honey. Some of the ones commonly found in deodorants and cosmetics include butyl, methyl, ethyl, propyl and benzyl parabens—all of which should definitely be avoided, not only in deodorant, but in everything.